From kiwi contemporary to historic Tudor! Amanda and Anthony were married a few weekends ago at historic Nathan Homestead in South Auckland. Their elegant day started with the sun shining on them (after a week of rain)! The bridal party made a grand entrance in classic cars driven up the horseshoe driveway. The colour theme was purple, black and white with pretty lavender coloured potted flowers lining the garden courtyard where the ceremony took place. 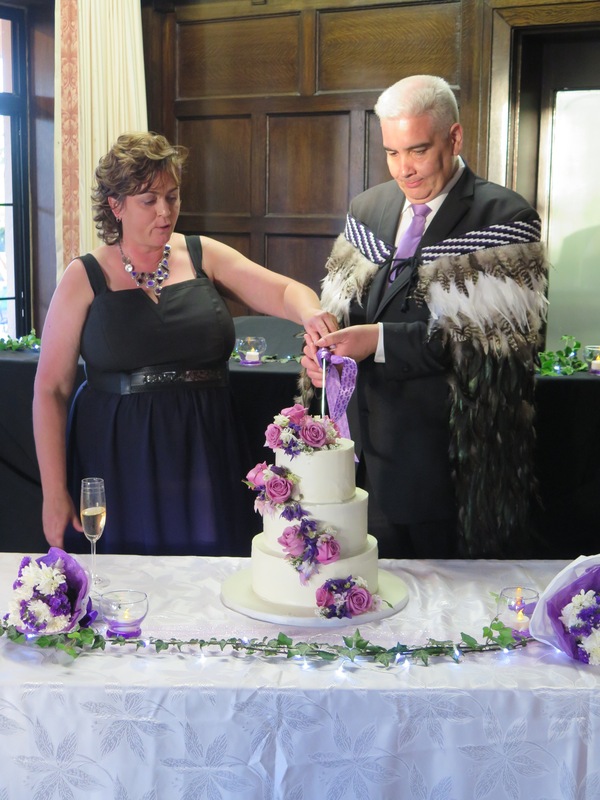 The bride wore a striking black and purple graduated colour dress and the groom donned a traditional Maori feather cloak, a korowai. They both looked very regal. And the sun stayed out the entire time!